The slow death of the 3.5mm headphone jack—the once ubiquitous audio connector present on smartphones, portable audio players and laptops—might not be the most convenient technological change for consumers, but it has sparked some remarkable innovations. Wireless connectivity, active noise cancellation and even integrated digital assistants have transformed the humble headphone into cutting-edge technology. Best of all, the pervasiveness of wireless connectivity has brought down prices too. Wireless headphones, which use Bluetooth to connect to devices like smartphones and laptops, now retail for as little as £20. The JBL T460BT, for example, is a good way to get started with Bluetooth headphones. Priced at £29.99, it has an understated design that folds up for easy storage and a battery life of up to 11 hours. There are even on-cup controls for controlling playback without the need to pull out your smartphone. Of course, not all Bluetooth headphones are created equal. The recent introduction of the aptX-HD audio codec—which enables high-res audio streaming over Bluetooth up to 24-bit—dramatically increases the sound quality of compatible headphones.Because it uses compression to transmit audio data wirelessly, aptX-HD isn't quite the same as using a cable, but the results are still excellent. AptX-HD requires both a compatible source (a smartphone, audio player etc.) and compatible headphones. Smartphones from the likes of LG, Google, Sony, OnePlus and HTC all support aptX-HD, as do Sony's excellent WH-1000XM3 headphones. 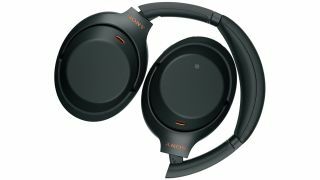 Prices for aptX-HD headphones do skew higher—the Sony WH-1000XM3 retail for £329.99, for example—but the difference in sound quality is notable, particularly when used with high quality lossless audio from services like Tidal. Spending a little more gets you other great features, too. The WH-1000XM3 have active noise cancellation, which is dubbed "The best noise-cancelling out there" by What Hi-Fi?. Active noise cancellation works by using a microphone to pick up ambient noise that isn't physically blocked by the headphone. The ambient noise is reversed 180 degrees out of phase and played back through the headphones, cancelling out the noise. The technology has come on leaps and bounds in recent years and made its its way into mid-priced headphones as well as high-end models. If you've only ever tried passive noise-reduction—the physical process of covering the ears to help block out external noises—active noise cancellation is an eye-opening experience, particularly on public transport or on airplanes where there's a constant background din. You can pick up active noise cancellation headphones like the Goji GTCBTNC18 for as little as £69.99, which feature up to 16 hours of continuous music playback. The JBL Tune 600BTNC are good for those a budget too at just £89.99. Bose, the original masters of active noise cancellation, continue to make great headphones too. The Bose QC35II remain a great choice thanks to their long 20-hour battery life and super-comfortable design. If you're into earbuds instead of headphones, wireless tech has enabled manufacturers to remove the wire completely, resulting in earbuds that independently slip into your ears for a clean look. The most popular of these are Apple AirPods, which retail for £159. They're a great choice if you're an iOS user. You can double-tap them to activate digital assistant Siri, or pull one out of your ears to pause the music. Battery life is a solid five hours, but thanks to the including charging case, a quick 15 minute charge gets you three additional hours of playback. The Sony WF-SP700N are a great alternative. Weighing just 15g, they sport both true wireless transmission and active noise cancellation and sweat resistance. They include a charging case, too, and retail for £159.99. For even better performance, check out the Sennheiser Momentum True Wireless. They use an advanced new 7mm driver, high-quality internal microphones for noise cancellation and can pipe through ambient noise so you hear your surroundings when needed. They retail for £279.99. Brought to you In Partnership With Currys PC World. Buy headphones, hi-fi and more at Currys.co.uk.